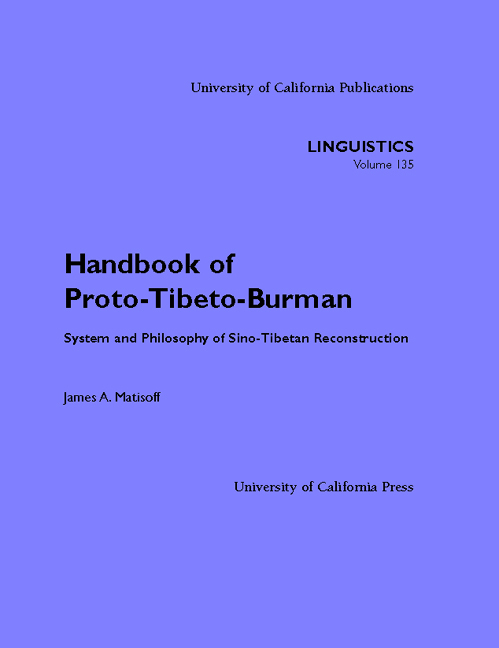 James A. Matisoff, Professor Emeritus of Linguistics at the University of California, Berkeley, is one of the world's leading authorities on the languages of East and Southeast Asia, especially the Sino-Tibetan family. He is the author of numerous books, monographs, and articles, on topics synchronic and diachronic, grammatical, semantic, phonological, and lexicographical, including: The Loloish Tonal Split Revisited (1972), The Grammar of Lahu (1973/1982), Variational Semantics in Tibeto-Burman (1978), Blessings, Curses, Hopes and Fears: Psycho-ostensive Expressions in Yiddish (1979/2000), The Dictionary of Lahu (1988), Languages and Dialects of Tibeto-Burman (1996). 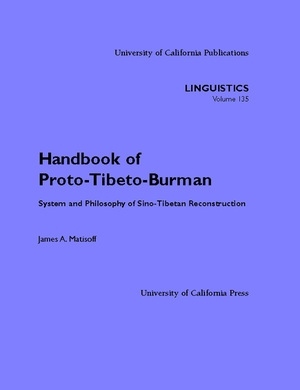 He is the Principal Investigator of the Sino-Tibetan Etymological Dictionary and Thesaurus project, and Editor of the journal Linguistics of the Tibeto-Burman Area. He is one of the founders of the annual International Conferences on Sino-Tibetan Languages and Linguistics. He has taught at Columbia and Berkeley, and has directed 28 doctoral dissertations in Asian and general linguistics.